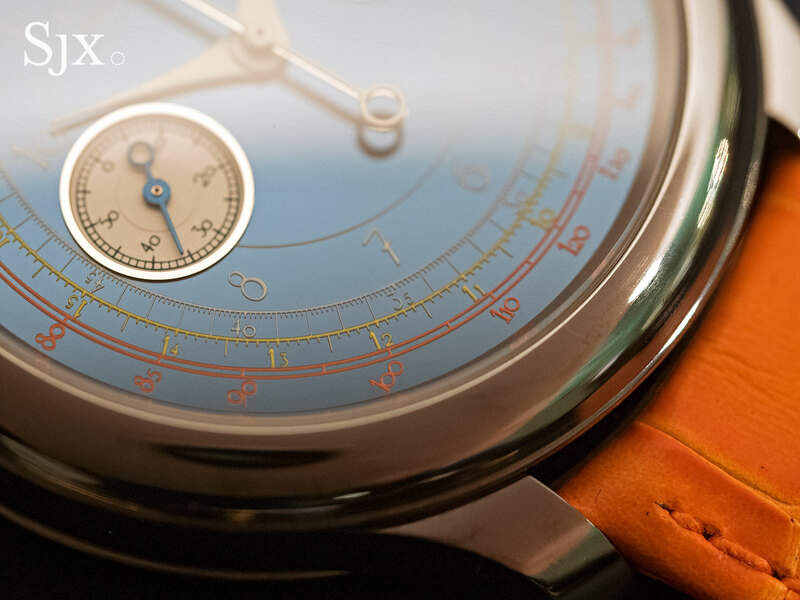 An enormous number, but not, perhaps, a surprise (and a Journe in disguise went for less). As we predicted the F.P. 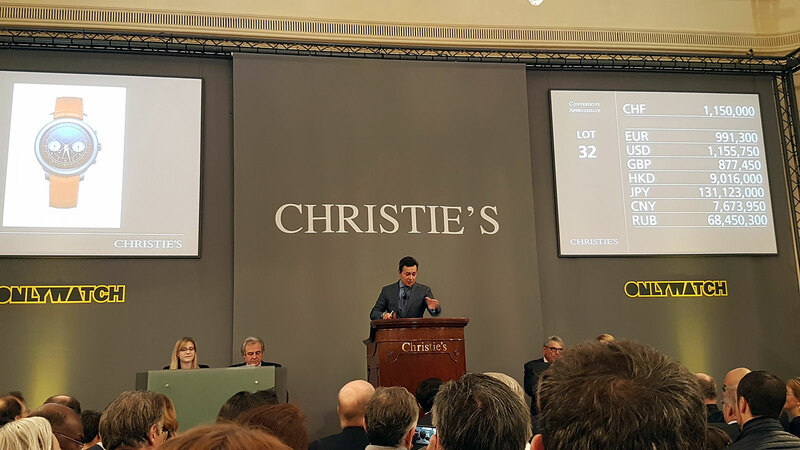 Journe Chronographe Monopoussoir Rattrapante Bleu was easily the second most valuable lot at Only Watch 2017, selling for SFr1.15m, or about US$1.15m (which we also predicted), with Francois-Paul Journe himself sitting in the front of the sale room, undoubtedly pleased. 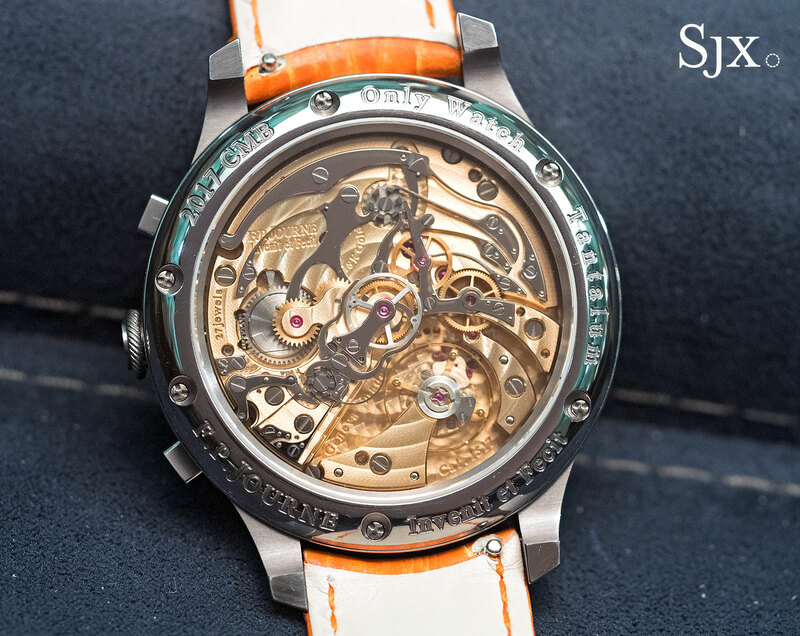 Arguably the most unique watch in the sale – the dial, case and movement were never before put in any other wristwatch, in any variation – the split-seconds chronograph with a tantalum case is a bona fide piece unique. It had an estimate of just SFr200,000 to SFr400,000. But bidding was swift was rapidly jumped past that in big increments of SFr50,000 and SFr100,000. 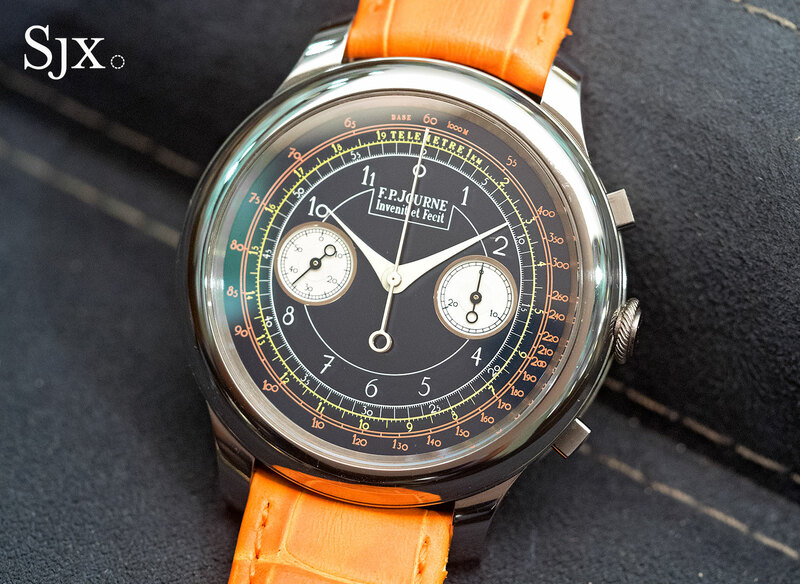 Like several other lots in the sale the tantalum chronograph went to the gentleman wielding paddle number one, who is reputed to have also purchased several other one-off F.P. Journe wristwatches at past charity auctions, including the tantalum Tourbillon Souverain Bleu and an unusual purple dial tourbillon. 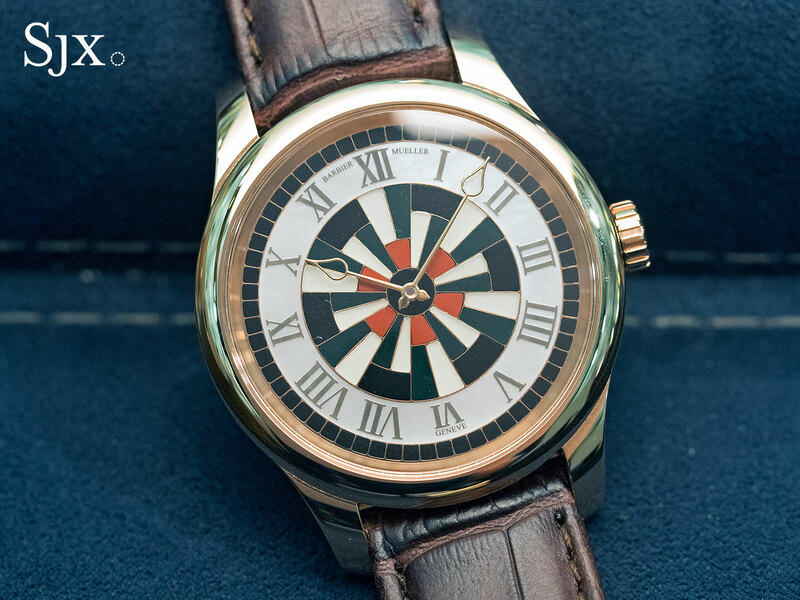 The result for the Journe chronograph is nominally comparable to the recent US$915,000 for the Philippe Dufour Duality, though it’s arguable that the Only Watch result includes the typical charity auction premium where even watches from less eminent brands sell for eyebrow raising sums. 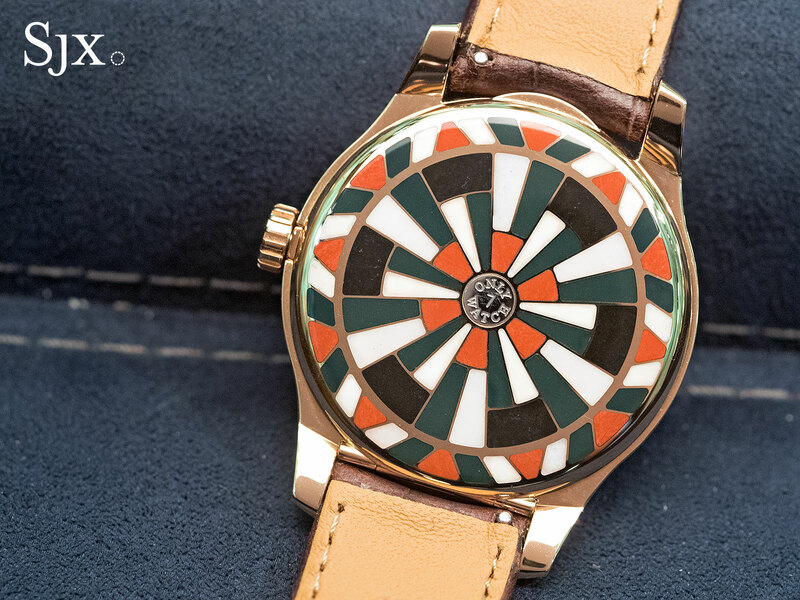 What was surprising was the modest SFr90,000 for the Barbier-Mueller Mosaique, made for a prominent Geneva watch collector by F.P. Journe. Mr Journe himself pointed out that the semiprecious stone inlay on the dial and case was a nightmare to produce, and the planned series is not likely to be completed. This was arguably the best buy of the sale.